Are you having trouble updating your quiz answers in the training website? Does someone else need to complete the training on the same laptop you used, and the website is still showing your test results? Do you need to print a certificate but forgot to enter your name, and find you're unable to go back and re-enter it? These are the most common problems clients have had navigating the Online Mandated Reporter Training website - and there is an easy fix! In order to reset the test results, you need to clear your browser's cookies. You can find instructions on how to clear cookies here for Chrome, Firefox, Safari and Microsoft Edge. Want to learn more about protecting our childern from abuse? Our team can visit your school or business, or even a group of your friends and fellow parents. 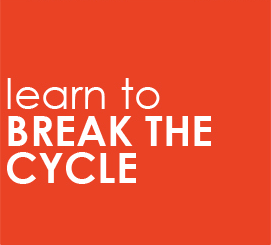 You'll learn the 5 steps to protecting our kids. The CARE House team will be in touch right away to help prepare your garden! Please don't navigate away from this page after clicking the Submit button until you see the thank you message. Get your name out there! 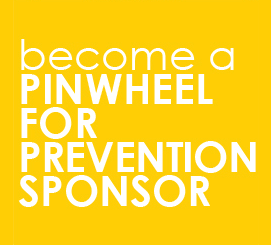 Each of our 200 Pinwheels for Prevention gardens throughout Oakland County includes your logo. 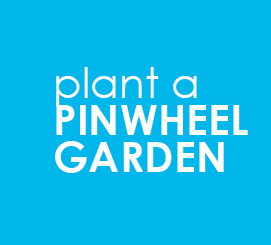 And you get your very own Pinwheel Garden kit too. For more information, view the Sponsorship Opportunities PDF. Our community loves to give back, so get your customers involved in Pinwheels for Prevention. 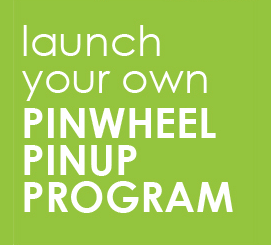 Your kit includes either 25, 50 or 100 pinups. Your customer can donate for our cause and sign their name (minimum $1 donation). How many pinwheel would you like to start? Why? Because pinwheels are fun! They represent a carefree childhood, and that's what we want every kid to have. Your kit includes 25 pinwheels to display during Child Abuse Prevention Month in April. Why? Because pinwheels are fun! They represent a carefree childhood, and that's what we want every kid to have. Your kit includes pinwheels to display during Child Abuse Prevention Month in April. How many pinwheels would you like to start?